Am I supposed to be drinking alcohol while dieting? Will I be able to lose weight? 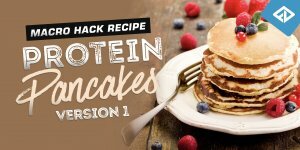 How do I fit in alcohol to my macros? Will drinking alcohol impact my fitness goals? So many of us are asking these questions, especially with the social events of the holidays upon us! The short answer is yes; you can drink alcohol if you hit your macros. 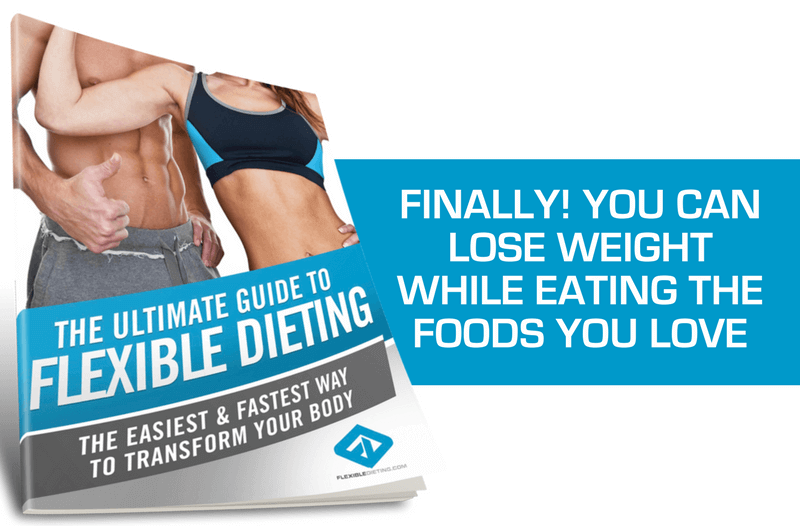 And that’s what we’ll show you how to do – flexible dieting and macros, coming right up! 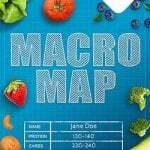 Let’s start with a little refresher on macros. First, it’s important to know that there are four categories of macronutrients that are apart of flexible dieting — carbs, protein, fat, and alcohol. Yes, technically alcohol is a macro! 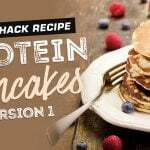 Tracking these macros allows you to efficiently manage the amount of intake which ensures that you only eat the amount of food your body needs and enables the fat-burning process to begin. One of the first things that can cause confusion with tracking alcohol is the discrepancy between advertised carbs and the advertised calories. 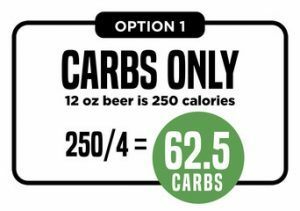 If a beer only has 15 carbs but is 250 calories, where the heck are all those other calories coming from?! And why don’t they make it easier to track?! Doesn’t the alcohol industry know us flexible dieters need the information? Anyone else having the “aha” moment? 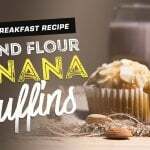 Yep, that’s where those extra calories are coming from! So how DO you calculate alcohol and macros? You can track alcohol as carbs or as fats, depending on your own individual macros intake. The easiest way to fit in alcohol into your macros is going to be to track is as carbs. That simplicity is because people have more carbs to eat during the day than fats, and fats are twice the caloric content of carbs. So depending on your intake and how you want to track your alcohol, you have three different options. Be sure to use whichever one fits your daily intake the best! How do you track your alcohol if you don’t know the calorie content of the alcohol? 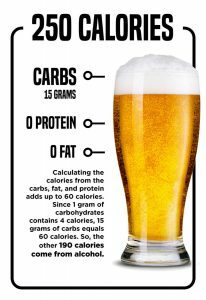 The other way to track alcohol if you are unsure of the calories is to measure it as 4 carbs per oz, or 9 fats per oz. In general, a shot of alcohol is typically 1 oz. You can mix these also and do half and half, similar to up above. 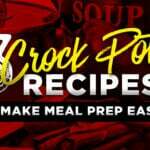 This method only applies to hard alcohol, beer, liquor, or wine and NOT mixed drinks. Remember, mixers need to be tracked as well unless you are using a calorie-free mixer like diet soda or sparkling water. Now that we’ve cleared up some of the misconceptions surrounding alcohol and macros let’s discuss some macro friendly alcoholic drinks. The best alcohol to drink while dieting boils down to personal preference. From beer to wine, and yes even liquor, whatever alcohol is at your corporate Christmas party can fit your macros. 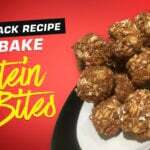 Generally, you’re going to apply all of the same rules to each one of these calories to ensure that you are hitting your macronutrient goals. 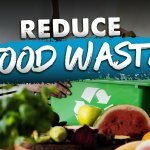 The fewer calories involved, the less impact you’ll have on your daily calorie intake. One thing that’s important to consider when having a glass of wine is whether it’s a red, white, sweet, or dry; and how many ounces are in your glass. Generally speaking, a 5oz glass of wine, which is considered a single serving of most wines, contains roughly 120-125 calories. This is another one of those situations where we need to do some math because the alcohol industry refuses to give us a nutrition label. To calculate calories per 5 oz of wine, you take the percentage of alcohol in the entire bottle and multiply it by 12. So, a bottle of wine with 10% alcohol volume contains about 120 calories per one 5oz glass. Divide the 120 by 4 or 9, depending on how you want to track your alcohol. The same formula applies to calculating calories for champagne, though a typical serving size is only 4 ounces. When it comes to drinking beer on a flexible diet stick with a light beer if your palette allows it. 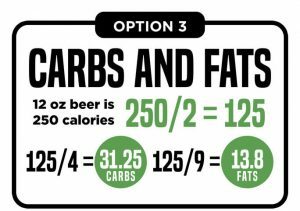 Typically, light beers like have a calorie range of between 55 and 110 calories. 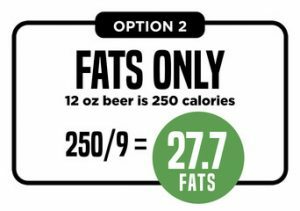 In contrast, an IPA may contain up to 200 calories. The low-calorie count of light beers makes them the better choice for a beer to drink on a diet. Don’t forget: Divide that calorie count by 4 to track it as carbs, or by 9 to track it as fats. If the holidays seem like a good time to sit in front of your fireplace with a nice scotch, there’s good news. Scotch contains 60-80 calories, depending on the brand and the alcohol content (100 proof liquor has more calories than 80 proof). If Scotch isn’t your drink of choice, don’t worry. Most alcohol has a caloric range similar to scotch, so vodkas, rum, bourbon, and other spirits can fit in your macros. Prefer mixed drinks? Try substituting your drink mixer with alternatives like soda water and water enhancers while avoiding drinks with high-sugar and carbs. Flavored sparkling water and diet soda are also great calorie-free mixers. Remember, a hot buttered rum is going to eat into your macros more than a vodka soda. 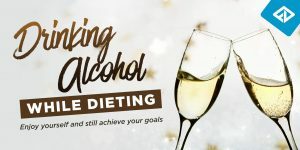 Generally, it’s not the alcohol that will throw people off of their diet and keep them from reaching their goals. It’s the snacking and lack of inhibition (oh hey, that whole cake looks good) that gets people into trouble. And if you’re doing this every week, it will be tough to make any progress at all. If you’re able to have a drink or two and not get the munchies for snacks that don’t fit your macros, great! Consuming alcohol in moderation may be entirely doable for you. 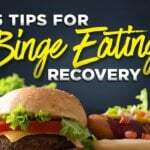 If you tend to overeat every time you drink, however, you may want to steer clear of alcohol when trying to reach a specific goal and add it back in after some time. 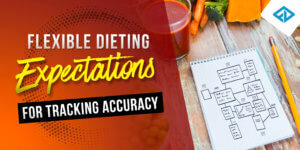 If you are seriously trying to lose weight, you’re in prep for a show, or you just have hit a plateau in your weight loss you may review your alcohol habits, however. 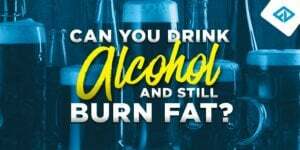 Sometimes we need to remove alcohol from our diets for some time, especially when it comes down to those last stubborn pounds. 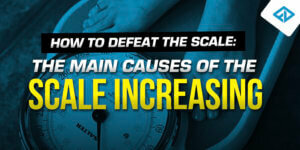 Once you reach your goal, you can start to reverse diet and eventually add alcohol back in without the weight gain. Many of us like to partake in a glass of wine or old fashioned more for the social aspect of it than the actual ‘drinking’ part. It can feel strange to be the only one sipping on a glass of water and annoying to deal with the peer pressure of having a drink just because everyone else is. So what else can you do? Hot tea, sparkling water, kombucha, and sugar-free hot chocolate are all excellent low-calorie options to help you feel like you are a part of the “social scene” while not drinking alcohol. If you have the calories to spare, you can always whip up some mocktails to enjoy also! Just be careful of high-calorie mixers that can end up in mocktails and track accordingly. The holidays are a tough time for anyone on a diet. Always remember that missing your macros one day, or even a few times, doesn’t mean you can’t be successful. What truly matters is what you are doing the majority of the time over a long period. 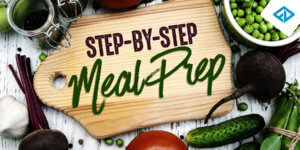 Making a lifestyle change successful using any technique is going to require effort and discipline on your part. Keep in mind that no matter what you do, whether it’s having an occasional drink or going out to eat with your friends where there’s a temptation, it’s going to require work. Enjoy the holiday season and do your best. If you need help resetting, we’re here to help. On our Instagram @theflexibledieting, we also have fantastic resources to offer you that you can save on your phone. Refer back to these posts as you need to be successful! And always comment if there’s something you want us to talk about – we are here for YOU. If you want more individualized help, contact us, and we’ll help you find the best way to get back on track. I think you meant Soda water, not tonic. Tonic water is loaded with sugar (I was sad when I learned this!). Diet tonic/sugar free exists if you search for it too.